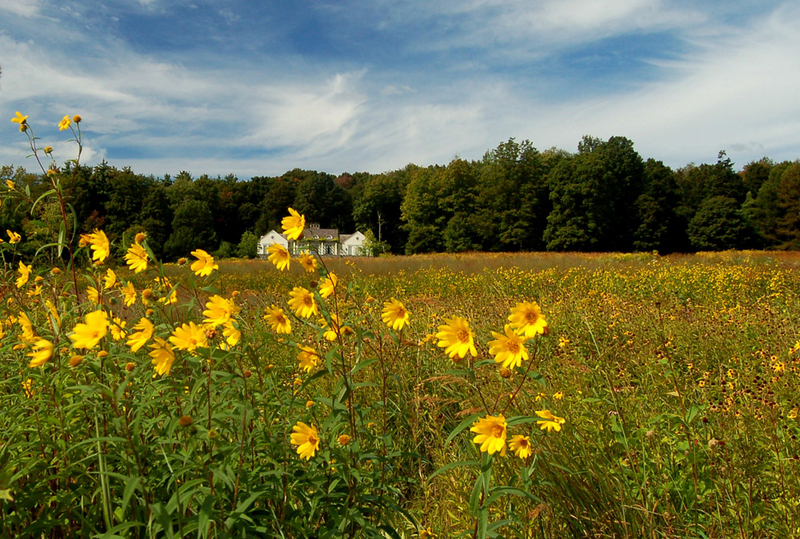 Well-known author Paula Dietz wrote about over forty acres of native meadows designed and installed by LWLA at Twin Maples, a large estate in northwestern Connecticut, for Site/Lines, the biannual publication of the Foundation for Landscape Studies. For stewardship of the property, which includes other areas designed and managed by LWLA, the owner received the 2011 Place Maker Award, a prestigious recognition from the Foundation for Landscape Studies. Dietz was moved and drawn in by the expansive, color meadows that unfold across the hillside: “The results are nothing short of spectacular – and, at times, unexpected, which makes the meadow a fascinating friend in daily life” (Site/Lines, Spring 2011, p. 18). For more information and additional photographs of this award-winning property, click here.